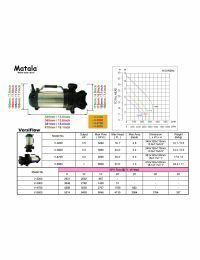 The Heavy & Continuous Duty non-clogging vortex type Matala V-3200 VersiFlow pump can be used horizontally or upright and has been designed for use in skimmers. 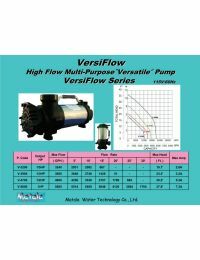 It is such a versatile pump that it can be used to sprinkle or discharge rain water from farmland, to relay pump stations or manhole to relay raw water. It is also perfect for waterfall, fountain, pond and garden spraying, and even sump pits or waste water handling. Replacing a failed or defective pump? 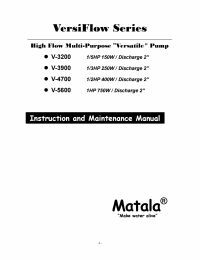 Many Aquascape® brand pumps can be replaced by a Matala brand pump. Use the chart below to find your compatible replacement.